The trend towards taking a “patient first” approach—coupled with the consolidation of emerging companies in the industry—has increased pressure to bring innovative mobile applications to market more quickly. Wearables are at the top of this list. In fact, SNS Research estimates that by 2020, wearable devices and wearables in Healthcare will represent a market worth $40 Billion with over 240 Million annual unit shipments. 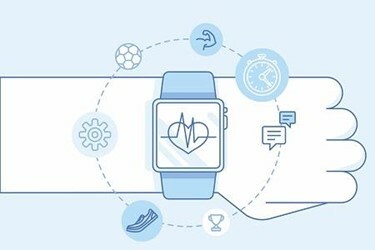 Higher Quality Data Analytics – Data from wearables is often more accurate than patient-reported data. As a result, healthcare organizations will have the opportunity to use higher quality data analytics to improve patient outcomes—such as predicting post-surgical complications, and determining the most effective treatment (reducing patient readmissions). Proactive Interventions – Wearables are capable of tracking and highlighting early warning signs of chronic disease (e.g. heart disease). As a result, providers can prescribe treatment proactively, reducing overall patient treatment costs. Reduction in Office Visits – Used as remote monitors (patient to provider), wearables provide an opportunity to reduce and/or eliminate routine office visits, which represents a direct cost savings for patients and insurance companies. Willingness to share device data, from fitness to medical records. Willingness to link new categories of captured data (e.g. calories per day, nutritional values, etc.) to their “official” medical records. Confidence patient-generated data will remain private and secure despite being captured and shared. Confidence federal and state regulations and laws will enforce the security of patient data and punish those responsible should a data breach occur. Simple, intuitive means of collecting, managing and reporting data from multiple device types, source systems and form factors. Scans the health records on her mobile device to determine if she’s had her flu shot. If not, the device accesses her calendar and automatically schedules an appointment with her doctor. The future of wearable technology is only going to continue to evolve. We are already seeing this with new Machine to Machine (M2M) and Internet of Things (IoT) technologies. SNS Research expects M2M and wearable devices will help IoT service providers pocket as much as $231 Billion in service revenue by the end of 2020. Todd Chusid is a Mobile Strategist at Propelics, an Anexinet company. Todd has a proven, 15-year track record of taking end-to-end ownership and delivering diverse technologies on web, mobile and ecommerce solutions. Todd’s mission is to help clients reimagine, refine, and reinvigorate their business processes, systems, and data to enable more engaging and productive interactions with customers, partners, and employees through mobile devices.